2014 Horoscope - Uncover the 2014 Mystery of Your Up and Down Times 2014 Horoscope Predictions - The association of the year 2014 in many prophecies has contributed many folds to the cloud of speculation building around the year 2014. 2014 Horoscope Predictions - The association of the year 2014 in many prophecies has contributed many folds to the cloud of speculation building around the year 2014. Although people in general have been quite receptive and conscious of Vedic Astrology's ability to enlighten people of the unknown times ahead; the thirst for knowing the unknown has increased dramatically in recent times, especially in the dawn of the year 2014. If you are one such soul, in qualms about what kind of future lies ahead in 2014, a to-the-point forecast for 2014 is what you need by your side. Based on Moon signs, the Horoscope 2014 predictions warn you of impending down times and up times in 4 core areas of your life: Money, Relationship, Career, Health. Why You Need a Personalized 2014 Horoscope Forecast? 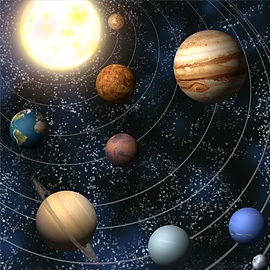 Your Personalized 2014 Horoscope Prediction report will be based on the major period (Dasa) and minor period (Bhukthi) influences of various planets on you. It gives you an expert insight into different aspects of your life, allowing you to take calculated and informed decisions. The personalized 2014 Horoscope Prediction report will be in a simplified form,focusing on 4 important areas of your life; namely Money, Career, Romance and Relationship, Health. This facilitates your mind to be centered on the areas which really needs your attention. Personalized 2014 Horoscope Prediction report also evaluates the varying influence of various planetary transits on you. So you are always prepared for the best and worst at the same time. Most importantly your Personalized 2014 Horoscope Prediction report will prescribe you the specific remedies based on the magnitude of malefic influences you might undergo, which is of course based on your birth chart.